middle age | Go Mommy! 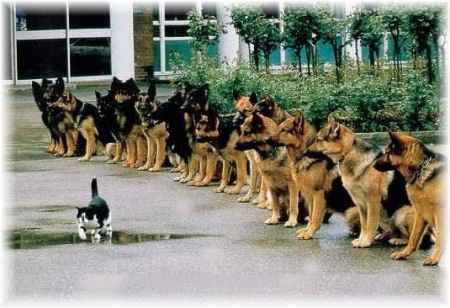 Really, I think the biggest challenge as an adult-onset athlete is having the self-discipline to NOT act on my natural enthusiasm (and end up pushing it too far). And once I started in my exercise routine, I had to force myself to remember that I was in my 40’s, not in my 20’s. I no longer could stay out late, eat and drink like a moron, (apologies to my friends in their early 20’s) and then just lace up my running shoes in the morning and expect my body to perform for me. I was run down. I had spent years getting to my general state of un-fit-ness. Now that I had made the mental/emotional decision to do something about it, it was hard to remember that my body needed time to catch up with that decision. I had to face that fact that even though I wanted to do something (run a half marathon) verrrry badly, my body simply was not capable of doing it in its present condition. It would be capable, but I had to face reality: the process was going to be much slower than I thought I’d be able to endure. Even when I felt great out on a run, I had to have the self-control not to go harder, faster or longer than my training schedule called for. I had to operate from the knowledge that the more mature my body is, the more rest it needs. That even though I felt on-top-of-the-world during that endophin-laden long run, that my body wouldn’t feel that way tomorrow if I continued too far or too fast, taking an emotional approach to my running rather than a systematic approach. 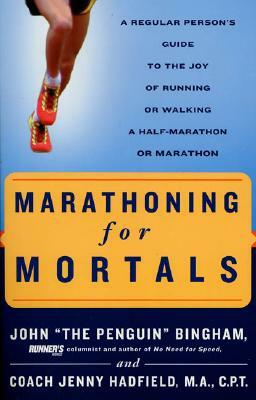 Marathoning for Mortals, by John Bingham. I had to remember that feelings aren’t facts, even when the feelings are physical. (“I’m tired, my legs hurt. Waaaah!” “I feel great; I could run another couple miles!”) I had to discipline my body and my will to obey my mind and my training, and not the other way around. I knew if I didn’t approach my running in this systematic, logical way, that I would get all emotionally spastic about my runs and end up either burning out or injuring myself due to making stupid decisions based on my early enthusiasm. I also knew that the systematic, logical approach would serve me well on those mornings that I just didn’t want to get out of my warm bed and lace up my shoes and hit the road. After more than 3 1/2 years of running, walking, resting, racing, being victorious, screwing it up, loving it, hating it, being enthusiastic, being bored, being cheered, being mocked, being crazy, and being happy, I’ve become a different person. A stronger, better runner. An athlete, even. (Though it’s still hard to think of myself that way.) But I’ve also grown mentally, emotionally and in the strength of my will. Those are things I never anticipated when I laced up my shoes for that pathetic initial effort in May 2009. And they made me a better daughter when my mother was dying. They made me a better mother when I had to make the hard choices for my children. They made me a better wife, friend, writer, speaker and business person. While I love the physical benefits of running, it seems, looking back, that the hardest thing (the self-discipline to do what I need to do, even when I don’t feel like doing it) was the one that changed and benefited me the most.